CGS Associates, LLC is a private investment firm with offices in New York City. Our mission is to build value by generating attractive, uncorrelated, risk-adjusted returns. We achieve this by investing in a diversified portfolio of capacity constrained strategies implemented by exceptional managers. We possess an entrepreneurial spirit, pursue the highest standards of excellence and are committed to our partners. We value integrity, a strong work ethic, and positive results. 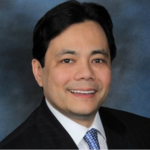 Peter G. Sasaki is Managing Member of CGS Associates, LLC, a New York City based private investment firm. From 2000 to 2009, Peter was founder and chief investment officer of Logos Capital Management, LLC, a global macro hedge fund. Prior to Logos, he held various positions at Moore Capital Management and J.P. Morgan & Company. Peter holds a BA in Philosophy from Pomona College, where he serves as a Trustee and is Vice Chair of the Finance Committee. He holds an MBA in Finance from the Stern School of Business at New York University and completed High School at the Hopkins School in New Haven, Connecticut, where he serves as a Trustee. He is an instrument rated private airplane pilot and divides his time between New York City and Southern California. © 2017 CGS Financial Solutions, LLC. All Rights Reserved.